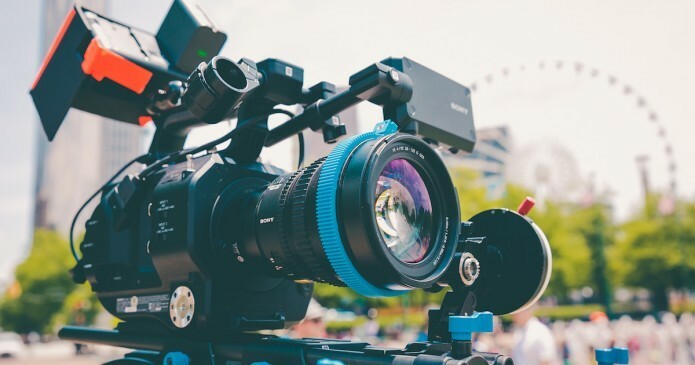 Whether you are reaching consumers or a business audience, video is a powerful tool to communicate with your audience and influence their purchase decision. This RSS YouTube converter hack is the easiest way to share videos instantly across social media. Consumers are 64% more likely to purchase a product after watching an online video. It has never been easier to create videos. You don’t need the use of a studio or fancy equipment to produce high-quality videos. Most likely, you will have all you need right in your pocket – an iPhone or equivalent device. However, the sharing process can be somewhat challenging. Most businesses just upload their video on their blog or YouTube channel hoping a customer will see it and click through. How can you give your video a boost? This YouTuber converter hack is a must have to instantly get more video views across social media including Twitter, Facebook, Pinterest, Tumblr and more. We’ve outlined below how to use this RSS YouTube Converter to expose your videos to more people and generate more plays across social. By following the steps below, videos can come to life in your social feed – no clicking away needed to play the video. It creates a better experience for your audience and leads to increased engagement. Creating a feed of your videos is pretty straightforward. Just add your YouTube username in the space highlighted in red below. Now, anytime you upload a new video to YouTube, the RSS feed will populate with the latest video. Replace “RECPLACE_WITH_YOUR_USERNAME” with your YouTube user name. 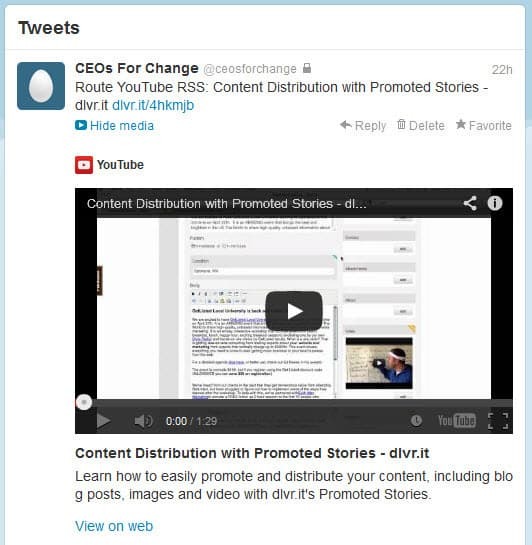 A route is an easy way to organize and share your new video RSS feed to one or more social accounts. How do I add a feed to a dlvr.it route? When to Use: Use when you need to automate the sharing of videos across one or more social accounts or when you are busy and don’t have time to customize every video update. A ‘Q’ is a smart way to have a consistent flow of content through an optimized daily posting schedule for each of your destinations. Q ‘drip feeds’ your posts to each destination on an optimized daily schedule. How do I create a Q? How do I add content to a Q? When to Use: Use when you have multiple items to share throughout the day, when your customers span several time zones or when message customization is important to you. Add an RSS feed to any Q as a backup source of content for those times when you forget to add content to Q manually. When to Use: Use of a backup feed source is especially handy when you are on vacation or simply too busy to create custom daily updates. Never miss visitors or potential customers again, add your YouTube feed as a backup content source in Q. Finally, videos display in your news feed and are ready to be played by your fans and followers. If you found this YouTube converter hack helpful, explore how to curate content with Youtube and other YouTube hacks.